Logo/Graphic Umbrellas – Umbrellas with custom graphics for advertising or personal use for your Hotel Chain, Local HOA, Cafe, Beach Service, or a Home Owner. 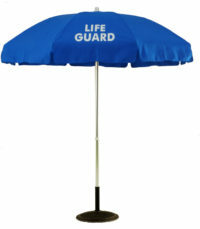 We can custom make any of our umbrellas with your graphics to fit any need. We will work with you or your designers to get that look you are after, and at a price that fits your budget. We invite you to browse through our store and shop with confidence. Don’t see your size or shape here contact us and have our product specialist take your order.